Allow me to introduce our new E-magazine! Click Here for a short pictorial magazine of recent jobs done by Curtis Law Construction. Please feel free to share it. 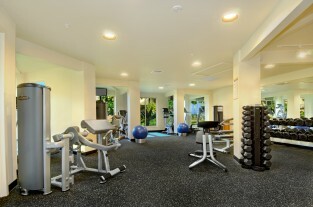 Contact us today for a free consultation about the process of building on Kauai. We work closely with local architects to incorporate the most current codes as well as the latest designs for an optimum result that will stand the test of time. Or, for those who have their own ideas and are not currently working with an architect, we also provide a design-build option. Recently I attended the Contractors Association of Kauai’s bi-monthly meetings to see the guest speaker, Diantha Goo HIOSH (Hawaii OSHA) administrators, presentation. The most important take away from this meeting was that OSHA and more specifically HIOSH will be issuing more citations for violations. On an ironic side-note, the current federal government sequestration has impaired their ability to travel freely which you can take any way you want. I guess it’s lucky we live Kauai all over again because they all reside on Oahu. But she did mention that the top violators based on prior citations, and top violations will be focused on when they do get here for inspections so tidy up! NOTE: If you are an owner/builder or do-it-yourself-er/Mr. Fix It you are responsible for adhering to the OSHA standards just like everyone else and are required to provide all PPE and training, documentation, etc. for anyone working on your project. Just hire a Contractor!! This is a huge liability for you. This is part of the benefit of hiring a licensed and insured Contractor. Think about it. The top violations that enforcers will be looking at are as follows:(this list came directly from The CAK Newsletter for April 2013). Fall Protection:Lanyards are not attached, Guardrails not in compliance including toeboards, Ladders not secured. Fork Lift: Certificate of training is not available, seat belt and horn not working or being used. Load capacity is not written on fork lift. Cranes: Operators must be certified. records and maintenance must be available, proper training for staying away from high voltage, not passing loads over people, loads rigged properly, operator needs to know how to read load chart, swing radius must be barricaded. General: Guards for saws, hazard communication must have a written program, training for staff/workers, safety glasses must be worn, respirators. In October KIUC announced its new adventure toward the goal of 50% power independency by 2023. This is a huge investment with cooperation from Grove Farm Co. of Lihue whereby KIUC will be leasing 67 acres of Grove Farms property in Koloa to make it happen. This new 12 megawatt, $40 Million facility will be able to generate about 6% of Kauai’s daily energy needs. That doesn’t sound like much to the normal person. BUT, this is the third project of its kind on Kauai in progress to develop renewable utility scale energy and is one of the largest in the state. The three projects combined; one in Anahola comprised of 12 megawatts, and the other at Port Allen with its 6 megawatts, when complete, will generate 30 megawatts during the day which is 50% of Kauai’s daytime electrical demand. That’s HUGE!! We hit the mark Kauai, and early! KIUC, by percentage of solar PV systems to join its system, will be the largest in the USA! That is quite impressive for our tiny island and no doubt newsworthy. Let’s show ‘em how it’s done Kaua’i! Locals can expect the project to be done and working in our favor by the end of 2014. Expectations are that the customers’ utility bills will be lower and be more stable. The creation of local jobs and reducing greenhouse emissions isn’t bad either. Remember, KIUC is a cooperative which means its members are its owners. That means You! If you want to save the world from global warming, or just save some money on your electric bill, you just did it. And I thank you. 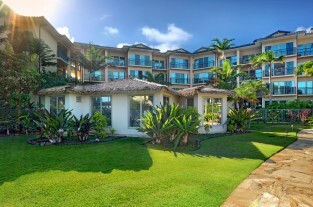 Waipouli Beach Resort situated on Kauai’s east side is a beautiful new oceanfront development. Located directly across the street from Safeway shopping center in Kapaa, the guests have access to all of the best amenities such as a pool, new work out facility (courtesy of Curtis Law Construction), and an oceanfront restaurant and bar with music nightly. If that’s not enough, Starbucks, Longs Drug Store, McDonald’s as well as many retail shops, restaurants and bars are within walking distance. Many units are for sale. 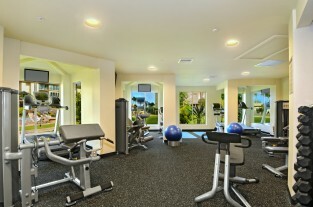 Ask me about that in addition to the glamorous air conditioning system in this fitness center.